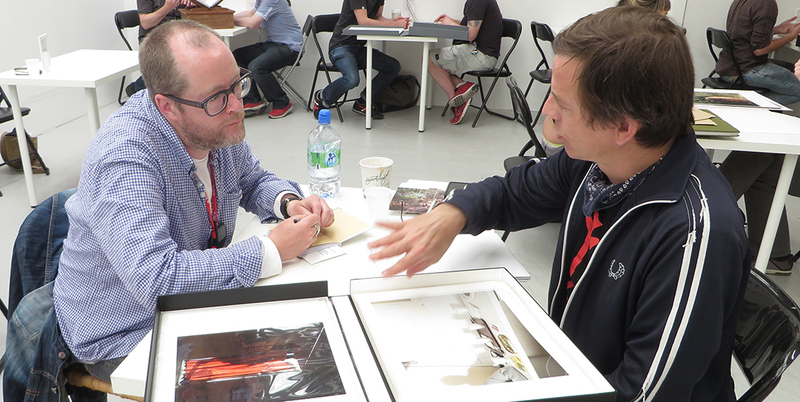 PhotoIreland Festival’s portfolio review weekend will take place on 4-5 July 2014 in Dublin city, representing a unique opportunity for emerging artists worldwide to highlight new photographic projects and meet with international professionals to further their careers. The winner of the portfolio reviews weekend will be offered a solo exhibition next year, during PhotoIreland Festival 2015. Make sure you read the guidelines, and submit your work by using the form – both documents are found below. Ângela Berlinde, Director/Curator, Encontros da Imagem, Portugal. Emma Bowkett, Photo Editor FT Weekend Magazine Financial Times, London, UK. Walter Bergmoser, Curator & Photographer, Seoul, South Korea. Photographers contacted: Early May 2014. Festival opening: Thursday 3rd July 2014. Portfolio reviews: Friday 4th and Saturday 5th July 2014. Summer Campus – Main events: 3rd-6th July 2014. Winner announcement: Saturday 5th July 2014. More details in our pre-festival magazine online. Previous PostTruths, Facts, Fictions, Lies: Announcing the selected photographers.